To further advance its aggressive growth in the boating market, Thetford has established a dedicated global marine division. 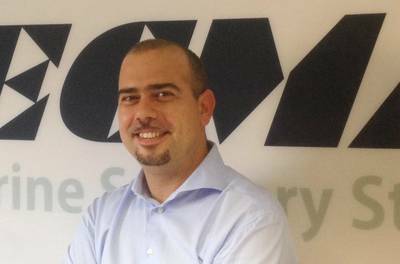 Gianluca Silvestri was named business unit manager of the Thetford Marine Division as part of this new strategic corporate plan. He is responsible for unifying the company's Tecma, Thetford and Norcold brands in marine segments throughout the Americas, Europe and Asia. Silvestri comes to Thetford with over 10 years of global business management experience. He will integrate the three Thetford brands in marine markets and reinforce the company's position as a leading supplier. "We have a strong range of quality products among Tecma, Thetford and Norcold. By establishing this global marine division, we can better meet the needs of boatbuilders, yards and retail customers," Silvestri said. Tecma includes fine china toilets with sleek Italian design, and sanitation systems. High-quality Thetford cooktops and stoves are renowned for their contemporary styling and like-home convenience. Norcold built-in and portable compressor refrigerators offer durability and beauty for onboard use. Thetford is headquartered in Ann Arbor, Michigan, and has facilities in the U.S., Italy, U.K., China and the Netherlands. The company achieves the highest quality and safety standards for its OEM and aftermarket customers worldwide.